I really loved this article! There were so many differences that I was not aware of. I grew up reading the books and watching the television series. I felt a real kinship to Laura as she was born in 1867 and I was born in 1967. I have since learned that my twin girls born on May 23rd share their birthday with lures sister Grace. 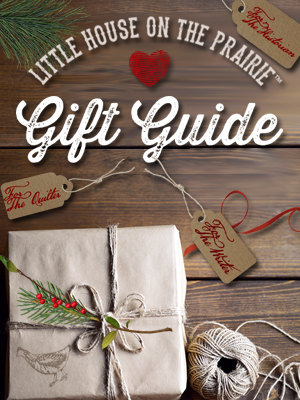 I have not yet read Pioneer Girl, but I plan to soon. Thank you so much for this article! 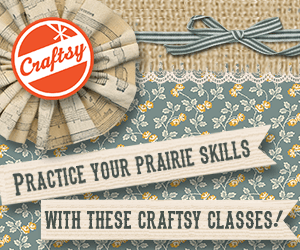 who is laura ingalls wilder’s little brother? The other day when I left my post, I didn’t realize I had made a mistake. I had my surgery on February 8th 1984 in the afternoon. 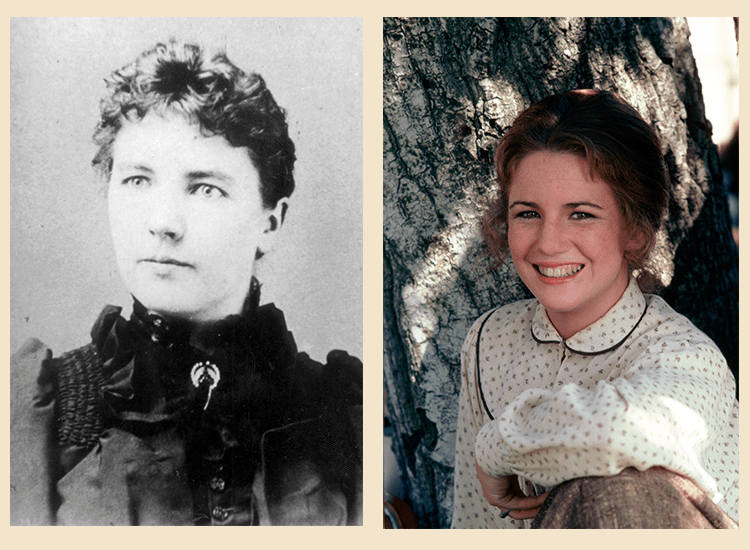 I was admitted on the afternoon of the 7th, which I didn’t know at the time is Laura Ingalls Wilder’s birthday. Cool huh? I wish I had known that then haha! I have CP. I was just in for another routine surgery that day. Does anyone else wonder why Laura’s treasured ragdoll, Charlotte, is never mentioned in the TV series? I just wondered. Obviously, Laura loved her, because she is mentioned frequently throughout the books. I come from England and watched Little House on the Prairie when it was on in the 1970s,I really loved the stories and when we got cable tv in the early 2000’s they played the series and I watched them right through again and even saw ones I never saw before right to the end where they said that millions of children and people round the world read and loved her books,which I never realised until then. There are reruns now on sky and I am watching them again.I really adore the series and wanted to find out more about the Ingall’s family and all the other characters that make this serie’s great.I wonder if the Walton’s is a true story or a fiction. Yes Melissa it is. I too was in VA this March 2017 for the Waltons 45th reunion. I love the Walton’s too. Last October on our way to North Carolina we were going to go to the Museum, Rockfish, and all those places, and the Hamner home…sadly a hurricane changed our plans…we hope to make it another year on our way to North Carolina!!! 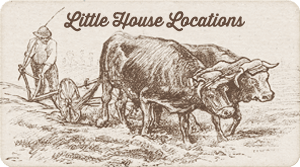 I live in Mankato, Minnesota mentioned in the tv series of Little House…worked in New Ulm, also in Sleepy Eye, MN…not too far from Walnut Grove, MN!!! That’s something else. I love Little House still. What about Albert Quinn James and Cassandra cooper and Jenny wilder. Are there any blood descendants of the Wilders or siblings children. And where are they? Or any relatives at all? How do I fine out about if I am blood line of the Ingalls and. Wilder family? I have at lease 6 generation in me. I recently went to DeSmet and went through the homes etc. We also visited the graves. Laura was the only one to have children. Her son died at birth and her daughter Rose never had children. Rose had a boy but it died at or around his birth. There never has been much said about it except that i think she went to Kansas City (?) around the time of his birth. I read this quite a while ago while reading about Rose. 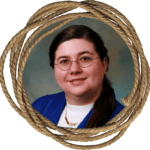 Interesting – on the Quiner or Ingalls side? thats amazing I visited De met South Dakota Ingalls home and grave sight and have all the books and read them over and over. Can you explain? Rose never had children, neither did any of Laura’s siblings. I have always wondered myself. Are you related to one of Laura’s cousins? I recently read that Rose, Laura’s daughter, was the last in the blood line. She passed away in 1968. Laura Ingalls Wilder is my great-grandmother’s first cousin. My great great grandfather was the brother of Charles Ingalls. Charles and Caroline have no direct descendants but Charles (I don’t know about Caroline’s family) had several brothers and sisters how had large families. So, yes there are Ingalls still running around in the world. Wow, I had no idea any relatives existed – very interesting! Peter was the name of the brother, correct? or were there other brothers, didn’t one of them marry Caroline’s sister or was that only in the tv series? 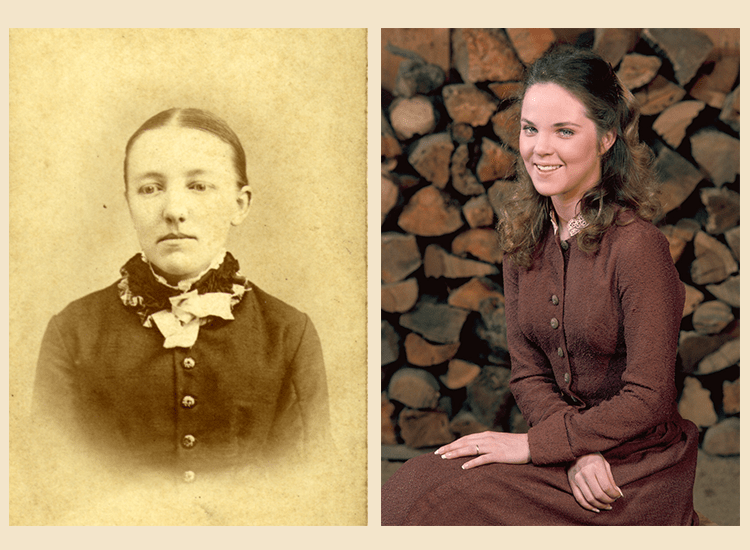 My great-grandmother was Alice Ingalls Whiting. She was the cCousin Alice mentioned in Little House in the Big Woods. She was Caroline’s sister and her husband was Pa’s brother. We are what they call double–cousins. Pa-Charles Ingalls brother, Peter Ingalls, married Ma’s younger sister, Eliza. 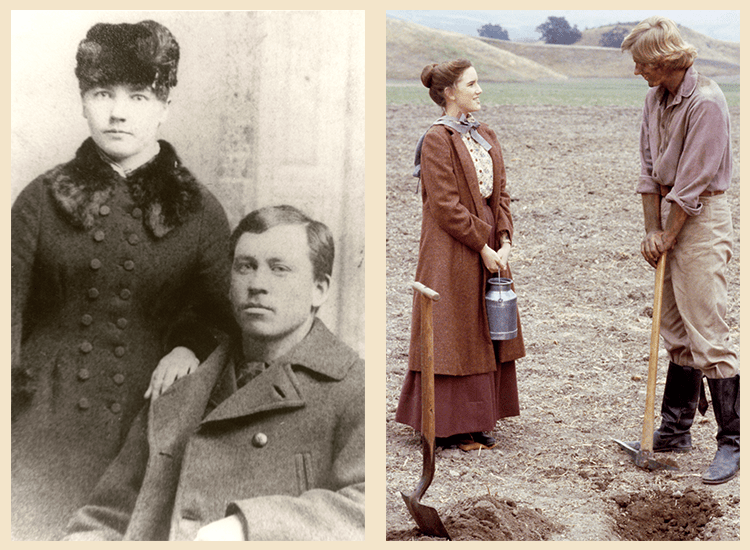 Ma’s brother, Henry Quiner, married Pa’s sister, Polly Ingalls. 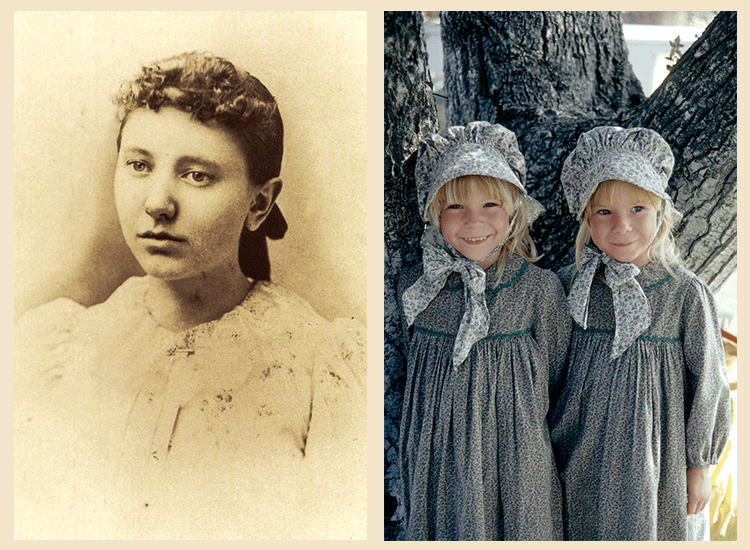 There were three marriages between the Ingalls and Quiner families. Eliza Jane had a son. Wilder Thayer. Wilder was his middle name, I can’t remember his actual first name. Eliza Jane married in middle age to a man with the last name of Thayer. I don’t know if I am blood line of Ingalls, Wilder? How do I fine out about it? 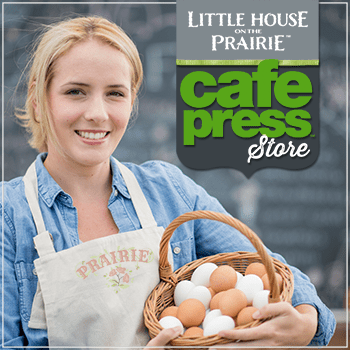 Did Caroline and Charles have a still born boy like the ‘Little House in Prairies? They had a boy, CHARLES FREDRICK INGALLS, he died at age 9 months and Laura did not put it in the books because it was a painful time for the family. Read about it online. Mary was 10, Laura 8, Carrie 5 during the event. Also Mary went blind at age fourteen from an illness called BRAIN FEVER not SCARLET FEVER as in the books (again I found it online), SCARLET FEVER was easier to put into the books, at that time people knew little about sicknesses. It’s my favorite show. Been since I was a kid. I watch the reruns to this day. 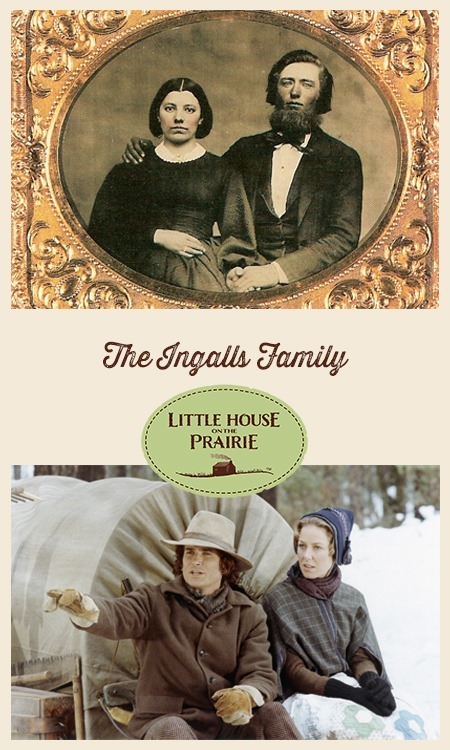 I’d love to learn more about the Ingalls family. Just an editorial note; instead of being all swans down, Carrie’s coat was blue with swans down trim on the hood and cuffs, and the blue cloth was what made her blue eyes show so well. To make a whole coat of swans down, even for a child smaller than Carrie (like a pre-walking infant), would take more than one swan’s skin, and it wasn’t usually done, probably for cost reasons, but also because it’s ostentatious, so tasteful Victorians like Ma wore the more available lace panels and luxury cloth choices (like silk, cashmere, etc) to show social status. Fur trim (or swans down) was, and is still now, more common, except among the super-rich who could have, in one book I read, “a swans down muff as big as her body”, which certainly required multiple swan’s skins. I so wished I had a coat like Carrie’s, when I read the books as a kid. The swan,s down coat was actually Grace’s. 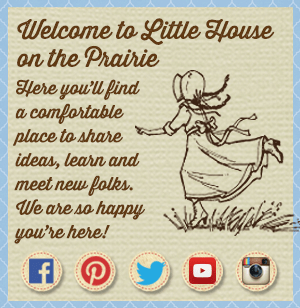 I loved Little House on the Prairie growing up and I love it today. I’ve got all the series and I am 44 yrs. I brought my kids up watching it. I wish they made more shows like this now days. My mom was a BIG Little House and Waltons fan. Thank you for sharing yours and their stories. This is a great site! I enjoyed reading it. I’d like to know more however on how they all died. I know it only mentions Mary died of a stroke. It seems they all lived very long lives for that generation!!! 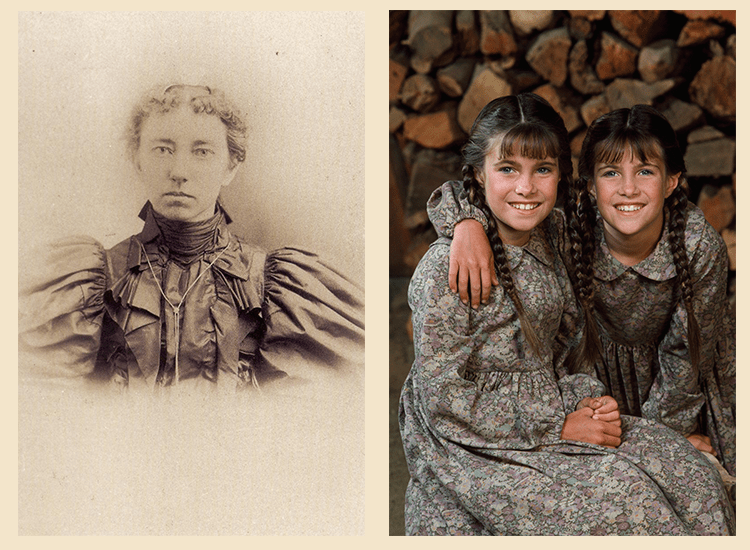 Laura ingalls Wilder is a distant cousin, it’s nice to read new things about her and the rest of the family. I have the book with the real life pa and ma think called ‘Country”. I believe that too me is an amazing book. The pictures on here is the same one in real life. My grandfather passed away in 98, the last book he read was the Country.